Why would I need self storage in Santa Barbara, CA? There are a variety of reasons why you might need self-storage in Santa Barbara, CA. How much is a storage unit in Santa Barbara, CA? The cheapest storage unit in Santa Barbara, CA is $110.00 per month. What size storage units do you have available in Santa Barbara, CA? In Santa Barbara, CA we have sizes that range from 5'x5' to 9'x29' to suit your storage needs. How much is it for a 5'x5' storage unit in Santa Barbara, CA? The cheapest 5'x5' storage unit in Santa Barbara, CA is $110.00 per month. Santa Barbara is one of the most beautiful towns in Southern California, nicknamed the "American Riviera" for its sandy beaches and warm, sunny weather. It's one of the largest cities in Santa Barbara County, attracting many new residents with its thriving economy, top-rated educational institutions, scenic location and many amenities. The city is divided into a collection of unique neighborhoods, each with its own personality and distinct architectural styles. The Chumash Native Americans first inhabited the area that's now Santa Barbara, and they hunted the surrounding areas for more than 13,000 years until Spanish settlers arrived. The missionaries discovered over 150 different villages, each of which maintained its own culture and language. 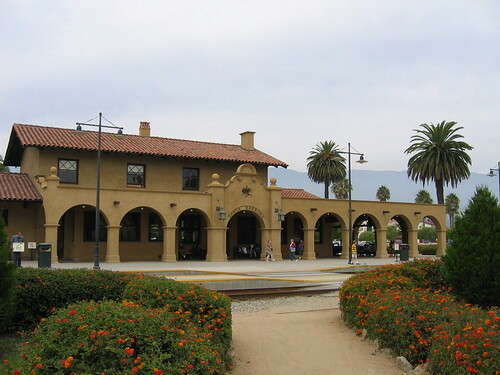 From the 1780s until the end of the mission period, Santa Barbara exhibited the early Spanish Colonial architecture that is so characteristic of Southern California. In the 1800s, agriculture became Santa Barbara's chief source of revenue. The fertile soil and abundant water made growing crops easy in this area, and cattle ranches dominated the landscape. However, the Civil War disrupted the economy and changed the local culture yet again. The Victorian period brought an age of abundance and wealth to Santa Barbara, with Victorian mansions replacing the Spanish Colonials, and settlers from the East arriving in droves. However, the 1925 earthquake revealed that Spanish Colonial architecture proved more stable than the Victorians. Most of the latter homes crumbled in the disaster, and the Santa Barbara officials made Spanish Colonial the official architectural preference for the city. Although Los Angeles is typically associated with the film industry, the first film studio in California was actually built in Santa Barbara. The 1920s saw the production of numerous silent films in this city, and it became so integral to the film industry that Charlie Chaplin could often be found walking the Santa Barbara streets. Although the cost of living is fairly high in Santa Barbara, you'll enjoy a variety of local amenities as the trade-off. Many libraries dot the Santa Barbara city streets, and public parks are also found in abundance. Numerous restaurants, coffee shops and shopping venues are spread throughout the city, as are a large number of fitness centers. Another local benefit is the city's public transportation network, easily accessible for those who lack their own vehicles. Santa Barbara has a very healthy economy that provides a number of jobs, especially in the tourism, hospitality and service sectors. Several aerospace and defense companies have large operations in the city, including Alliant Techsystems and Citrix Online. You'll also find many job options in education and government, with the local school district and county offices providing tens of thousands of positions. Santa Barbra City College is highly respected and is also a major employer in the area. The Santa Barbara Unified School District manages the majority of the city's schools. You can also choose one of the numerous private schools in the area. Santa Barbara is a hub of higher education, so you'll have plenty of options if you're looking to pursue your degree. The University of California, Santa Barbara; Antioch University and Westmont College are just a few of the largest campuses in the area. You can also find several trade schools, community colleges and graduate schools in the area. Utilities: Southern California Edison is the city's central electricity provider. The city's utilities department manages water and sewer services. Garbage and Recycling: Your trash and recyclables will be collected curbside on a regular basis. As a Santa Barbara resident, you can also request bulky item collection twice a year. Transportation: The Santa Barbara Metropolitan Transit District facilitates a large network of bus and shuttle routes throughout the city. The local airport also offers several commuter flights to nearby cities like San Carlos and Burbank. Bicycling is extremely popular in Santa Barbara as well. Thanks to its coastal location and many amenities, Santa Barbara is an expensive place to call home. Home values drift well above the million-dollar mark, and rent is also very pricey. However, there are a variety of options to choose from, so you can look carefully to find something to fit your needs. Our lowest priced units in Santa Barbara, CA average $110.00 per month. 35 people have reserved units in Santa Barbara, CA in the past 30 days. There is 1 location within Santa Barbara, CA's city limits.